Welcome to OldFloridaLures.com, where we have compiled as much information as possible about Florida antique fishing lure makers for you to browse. We take pride in offering a knowledge empowering tool for you, no matter if you plan to sell your old lures or begin collecting them. There are many pages on this site that are dedicated to some of the major collectible antique fishing lure manufacturers from Florida, kind and knowledgeable collectors of those manufacturers, and helpful links to some great sites that contain even more information regarding antique fishing lures. Many of these Florida lure manufacturers are highly collectible and sought after. We encourage you to get as much education about your antique fishing lures as possible using the site as a one stop resource. If you have any questions, do not find the information you are looking for, or would like to chat more about collectible Florida lures be sure to check out our easy to use forum as well – find the link in our navigation above, or using the buttons in the next section below. 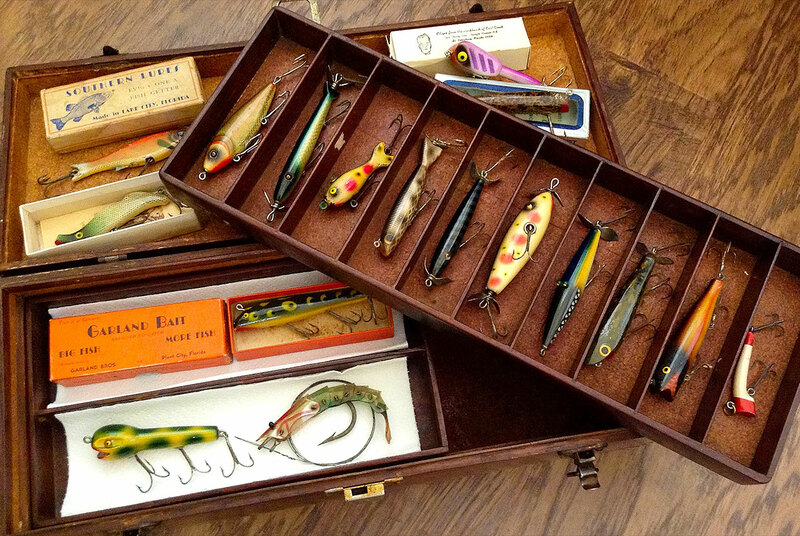 There you will find people who have antique fishing lures and antique fishing items that will either be for sale or trade as well as important information that you can use to identify and learn about your antique lures. We encourage you to use the forum to your advantage! Buy, Sell, or Trade with others in our easy to use forum. Start up a chat or even request more information from other collectors. Come see what we have available for sale at our store. Add to or complete your collections with our affordable upfront pricing. COMING SOON!! Are your lures just sitting around collecting dust? Sell us your old lures, we are always on the lookout for new lures to add to our collection!